Well the fall dance semester is now in full swing for me and fall semesters all over have now begun. So it seems appropriate to wear ILNP Fall Semester! 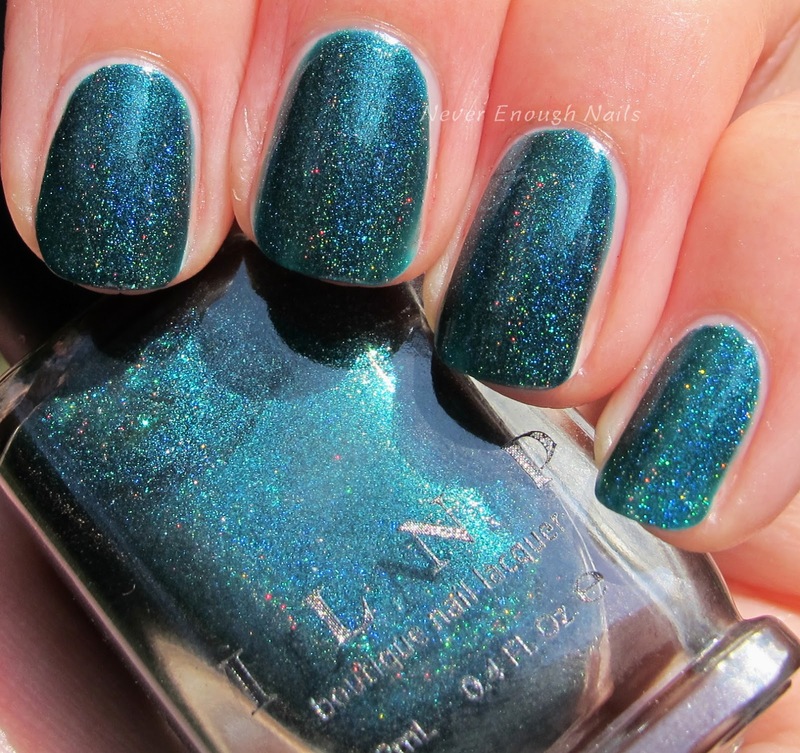 Fall Semester is a deep teal holo. It's a darker, jewel-toned teal, rather than a brighter summery teal. In comparison to ILNP's Ultra Holos, Fall Semester has a much weaker linear flame for sure, almost more like a scattered holo. 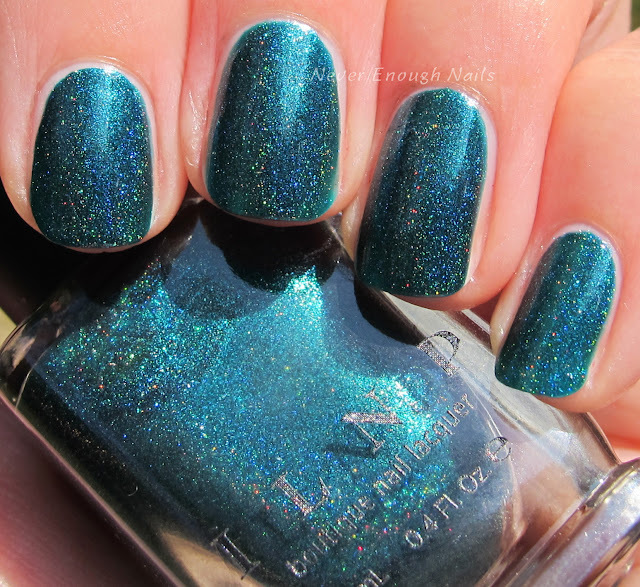 In the brightest sunlight, you can catch more of a true linear holo look. 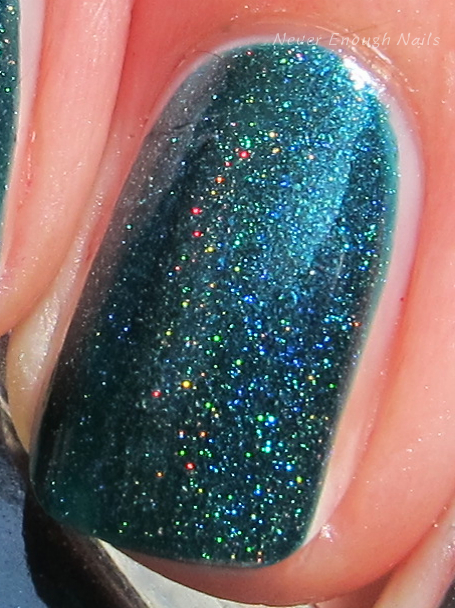 It's gorgeous in any lighting, but not the most blindingly holographic polish ever. This is two easy coats of Fall Semester. I really have had great experiences with ILNP's formulas all around. They are really great to apply. ILNP Fall Semester is available now on ILNP.com. Did you pre-order anything from the new ILNP fall collection? I got First Class, Mountain View, Spiced Eggnog, and The Road to Awe. I want a couple of others, but I'll have to behave myself for now and wait for them!